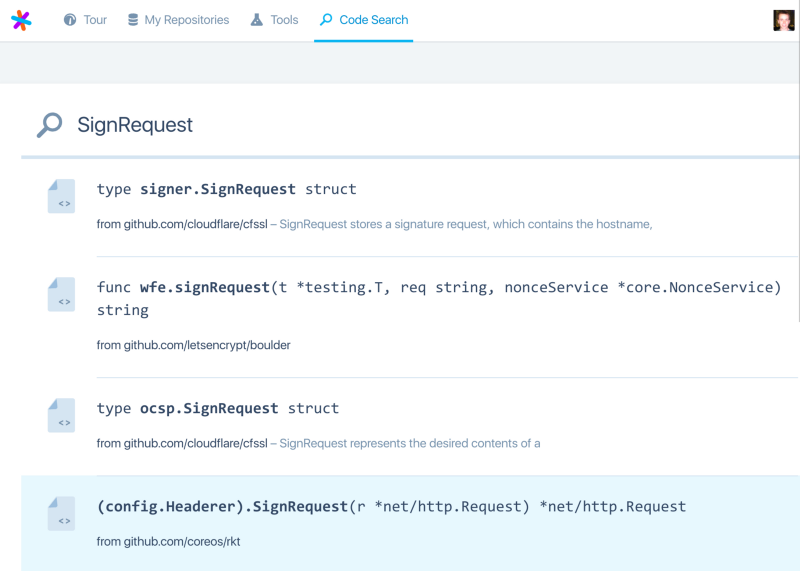 Today we’re excited to announce a step toward giving every team the power to build better software — the developer release of Sourcegraph, the fast, semantic code search and cross-reference engine. Why can’t your code host actually help you read and understand code like an IDE? 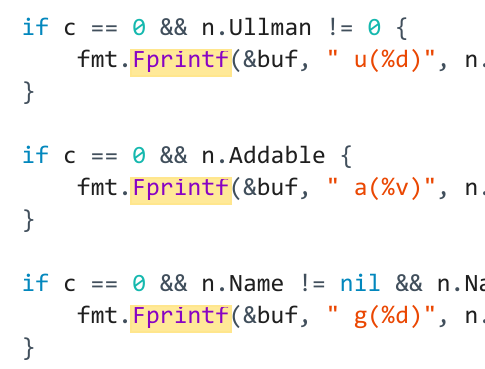 Why can’t you see who (and which projects) are using a certain piece of code? 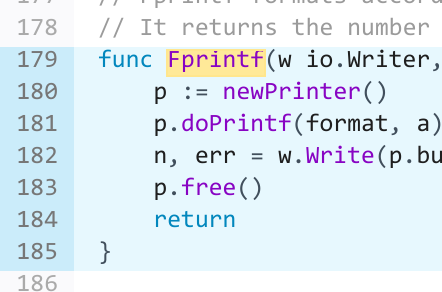 Why can’t you see everywhere a function is being called, so you know the right way to use it? Why is code search so archaic — plain-text, single-repository, and ugly? After reaching hundreds of thousands of developers and hearing from thousands of companies using early versions of Sourcegraph, we knew we weren’t alone. That’s why we’re building Sourcegraph. If you want a better way to discover and understand code, we invite you to start using Sourcegraph today. It’s free for public and private code, it’s integrated with GitHub, and you can start using it immediately. On Sourcegraph, everything in code is clickable (jump-to-def) and has doc tooltips. You can understand code more quickly with these. At the time this post was published, Fprintf was called in more than 11,000 other projects around the world. See them all! Smart search quickly gets you what you need. You can search by the name of any function, class, type, etc. All of Sourcegraph’s source code is publicly available and hackable, under the Fair Source License. But you can use it on Sourcegraph.com without needing to deploy or manage anything. Sourcegraph.com is free for public and private code. New, paid features will be released publicly in the future. Sourcegraph Enterprise scales to the needs of large enterprises and gets smarter — not slower — as you add more code. Contact us to see how Sourcegraph can power your large organization. We are on a mission to give developers a better way to discover and understand code. Start using Sourcegraph today!